We’ve launched our 40th podcast! 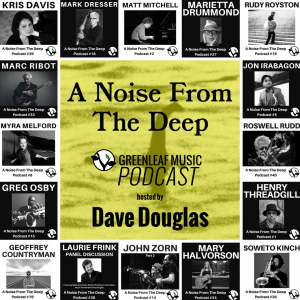 With the launch of our latest A Noise From The Deep podcast featuring trombonist Roswell Rudd, we’re celebrating our 40th podcast! Since it’s debut in 2013 with Henry Threadgill, the series has included a broad range of musicians and personalities discussing their creative process with Dave Douglas. All of the podcasts are available on our website as well as iTunes, Stitcher, and Google Play. We’re honored to provide our community with the opportunity to learn more about these great artists and their work. Thanks to all of our supporters for listening. We hope you’ll continue to explore the work of these great artists.